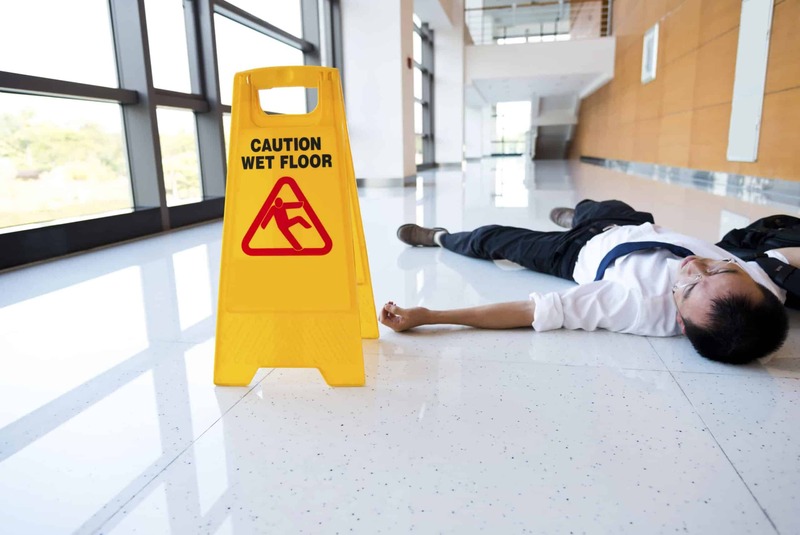 Slip and falls are types of premises liability accidents. If you are hurt on someone else’s property because of a hazardous condition, you could be entitled to compensation. A serious fall could lead to broken bones, herniated discs, neck injuries – even death. You deserve to be appropriately compensated for your injuries and pain. You deserve to have high quality legal representation on your side. Aiello, Harris, Marth, Tunnero & Schiffman, P.C.is known as one of New Jersey’s top slip and fall injury law firms. Our team of attorneys, paralegals, and office administrators give you the support you need during a difficult period of your life. We accept no upfront fees and we do not get paid unless we successfully obtain compensation on your behalf. Our premises liability lawyers are happy to answer all your questions and address any concern you may have. What Businesses May Be Subject to a Slip and Fall Claim? Any business, large or small, may be the subject of a slip and fall claim. Common locations for falls are grocery stores, restaurants, shopping centers, hospitals, nursing homes, and any other public or private location. What about poor lighting in parking lots and slip and fall accidents? If there was inadequate lighting in a parking lot or a lightbulb was burned out and not replaced, it could be considered a hazardous condition under premises liability law. Good lighting ensures customers see steps and cracks in front of them – if bad lighting caused you to miss a danger and injure yourself, you might have a slip an fall claim. Is a Nursing Home Fall Different From a Typical Slip and Fall Accident? Yes and no. There are some special considerations, such as was there medical malpractice involved and did the patient have a preexisting medical condition worsened by the fall? But, typically, a nursing home slip and fall could proceed as any other claim would. What Can I Expect to Happen After I File my Slip and Fall Claim? First, your attorney files a complaint with the negligent party, which basically states your intent to sue. Then, the negligent party will file their “answer,” which may claim no responsibility for the accident or might include an affirmative defense (the defendant acknowledged the accident happened, but provides a reason why they are not liable). If the case proceeds, next comes the pre-trial motions – such as a “Motion to Dismiss” – then comes the discovery phase in which each party reveals all the evidence they have. Afterwards, you may have to answer interrogatories and be deposed. Meditation might be involved as well. There is very little chance the case will need to be go trial – most of these cases settle before that happens. You might be entitled to collect money for medical expenses, lost wages, property damage, pain and suffering, loss of enjoyment of life, and emotional distress. Can a person recover damages for injuries sustained when she or he spilled on a spilled liquid in a store and fell? Maybe yes, maybe no. If the hazard was not marked, e.g. with a “Caution Wet Floor” sign, AND the property owner/manager knew of the hazard or should have known of the hazard, you may be able to collect compensation. You should complete an accident report as soon as possible. However, if you are too injured to do so at the time of the fall, you can fill one out later. What are Some Defenses that I can Expect Will Be Raised Against Me in My Slip and Fall Claim? More questions? Do not hesitate to contact an NJ slip and fall lawyer at Aiello, etc. today. If you or a loved one was hurt as the result of a property owner’s negligence, call Aiello, Harris, Marth, Tunnero & Schiffman, P.C. right away. Due to our stellar track record, we have earned a reputation of success throughout New Jersey. Call us today at (908) 561-5577 or contact us online to arrange a no-cost consultation. We will come to you or you can schedule an appointment at one of our offices in Woodbridge, Watchung or Lyndhurst NJ.